Erosion describes the loss of the surface of the tooth (the hard enamel outer surface). It is caused by acid but dental erosion is a different process from the bacterial acid attack that precedes tooth decay. Erosion tends to be a slow process but it can lead to exposure of dentine (the soft layer of tooth underneath enamel). This can cause sensitivity to hot, cold or acidic foods and drinks. 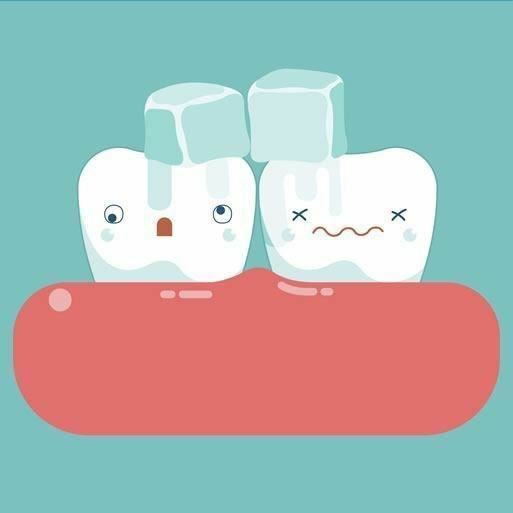 What can cause dental erosion? Acidic food and drinks are highly erosive, particularly if they are slowly consumed (sipped over a long period of time). Citrus fruit juices such as grapefruit, orange and lemon naturally contain acid. Fizzy drinks such as cola, L&P, lemonade and ginger beer are very acidic. This includes diet versions. Medical conditions such as bulimia and gastro-oesophageal reflux result in high levels of gastric acid from the stomach being present in the mouth. How is the tooth worn away? Eating or drinking something acidic (pH lower than 5.5) causes the enamel to become soft for a short period of time, as the enamel loses some of its mineral content. Saliva is alkaline and slowly acts to repair the enamel, restoring the mouth’s natural balance about 30 minutes after consumption. However, if acid attacks occur frequently throughout the day, enamel is not fully repaired and over time, particles of enamel can be lost. How can I prevent dental erosion? Water and milk are tooth-friendly drinks to avoid dental erosion and decay.